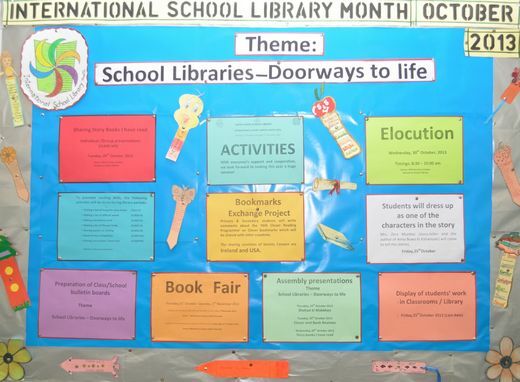 To celebrate the International School Library Month this year, we had a poster competition. 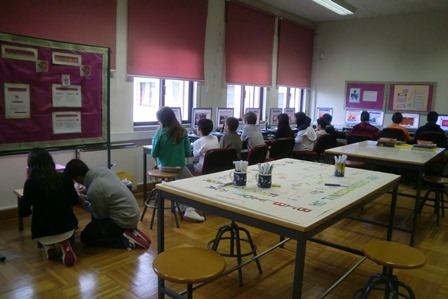 The competition was opened for the PYP and MYP students. It was announced on September 23, and the students had 3 weeks to prepare their posters. 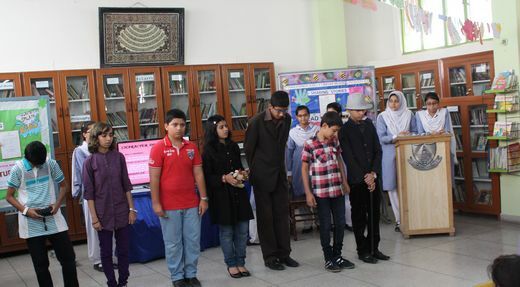 There were 25 posters received, and 22 students participated in the competition. started from kindergarten to Grade 7. The PYP students made posters about their favorite books or characters and the MYP students made posters that reflect on the 2013 theme. 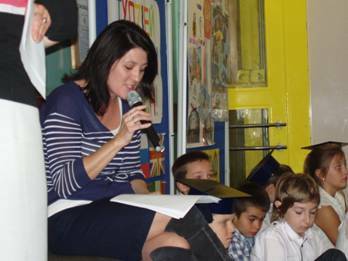 On October 11th, which was our last day of school of term 1, the winners were announced in the assembly. 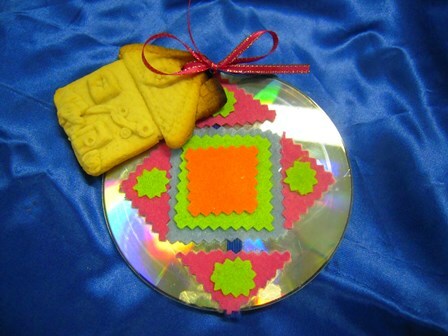 This activity reminded the school community’s about the importance of the library, as well as created much fun. Each participant got a participation award and a little gift, and the winners got awards and prizes, there were 7 students who became the winners. I'm setting up a reading corner in a school that doesn't have a library yet. This is a self-funded program. 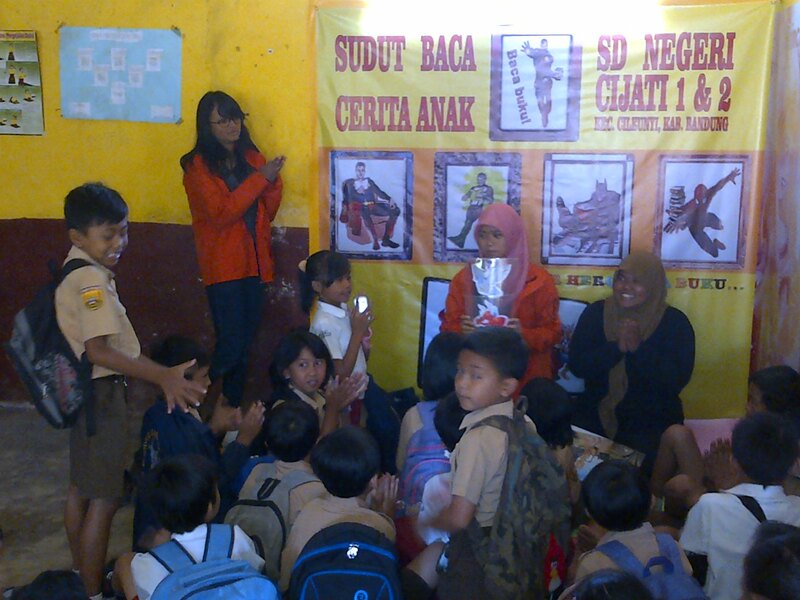 SD Cijati 1 and SD Cijati 2 are planning to build a library next month. 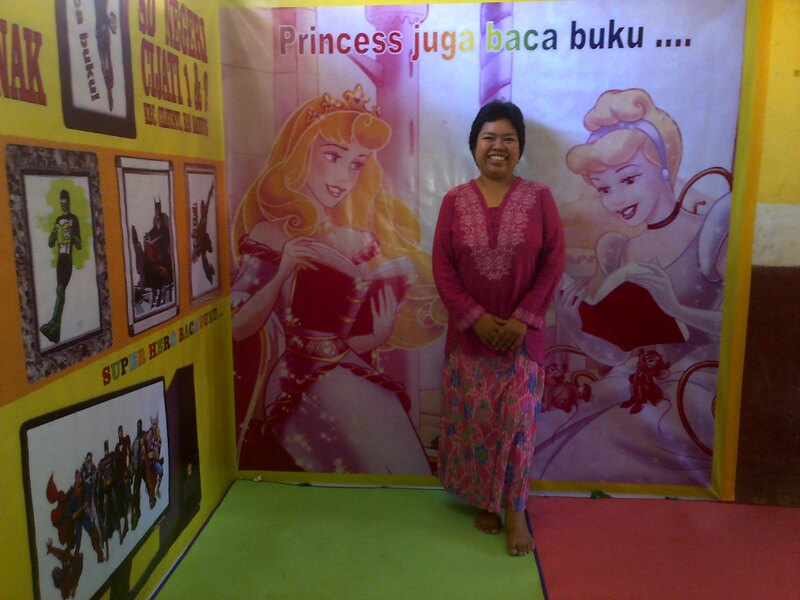 Before the library is build, I ask for a room to set up a reading corner for promoting books to the children. I set up the room on October 12, 2013. 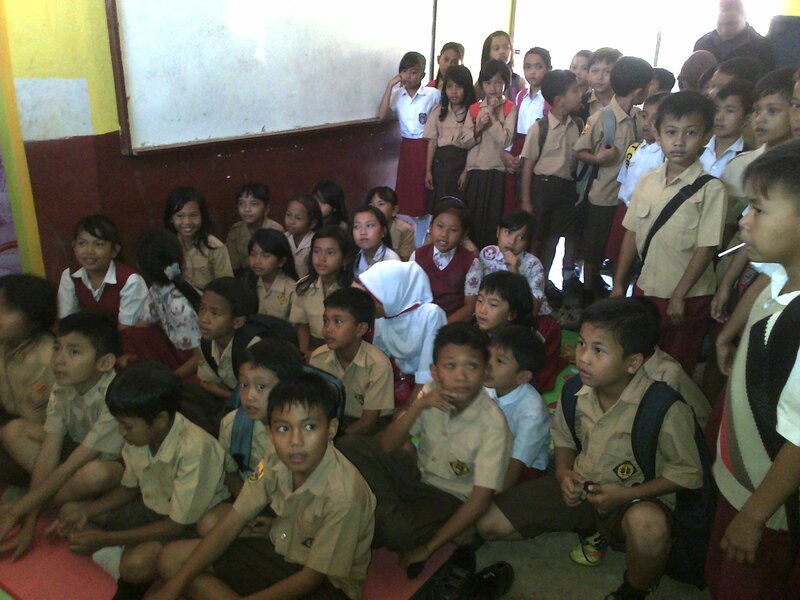 The next day (October 19, 2013) we're having a storytelling day and the students from Cijati elementary school are enjoying it so much, they ask for more stories again and again. Afterwards we are playing three fun games. I ask my Diploma Students to also fill in for storytelling and playing games. The ISLM was celebrated for the first time by Abadina Media Resource Centre, University of Ibadan, Nigeria. 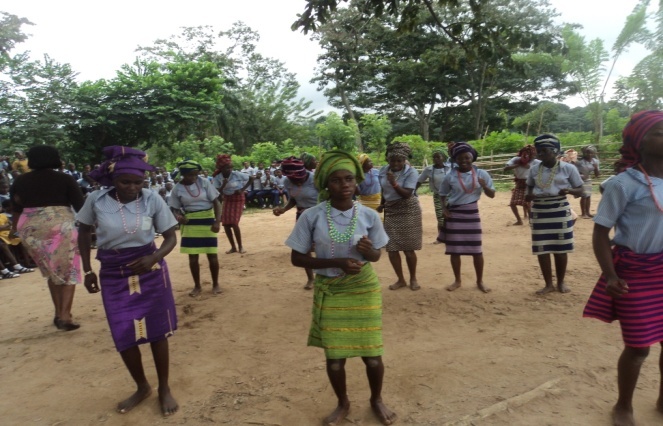 Several activities took place to celebrate with school children in six different primary and secondary school. 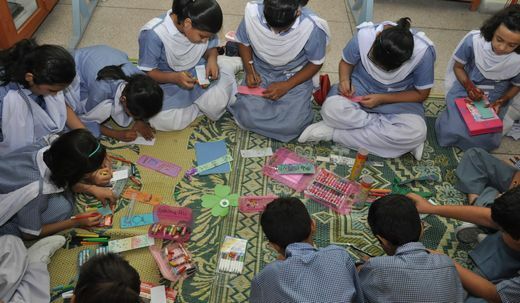 The schools which included both government and private schools were visited on different days during the month. 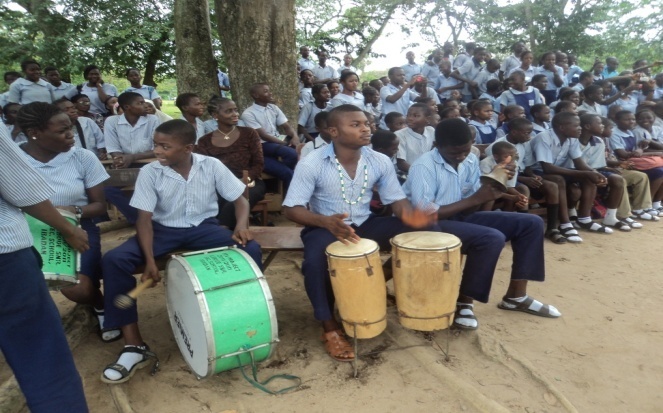 African folk media (poems, dance, drums and drama) was used to disseminate information on the ISLM theme “School Libraries: Doorways to life”. 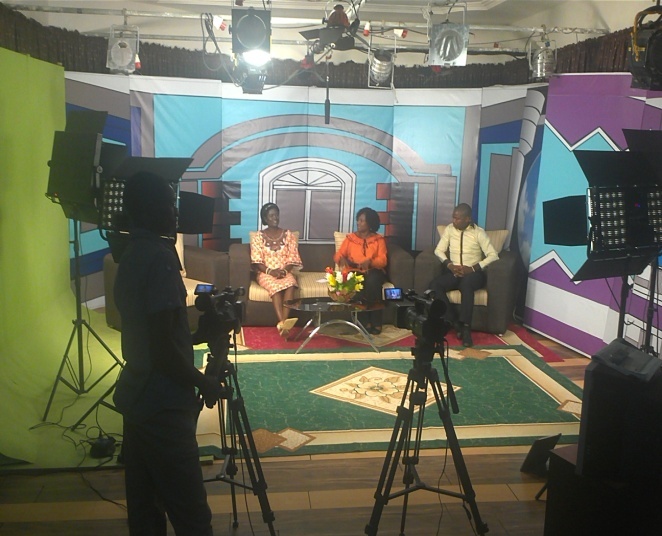 The ISLM began with an awareness programme on Television to discuss the importance of the ISLM theme for 2013 and libraries. 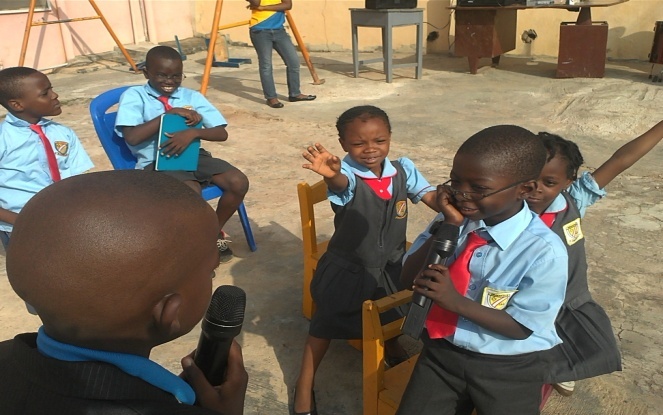 Before October, the six selected schools were informed about ISLM and they were encouraged to take part in ISLM activities by rehearsing different African folk stories using different media for their ISLM activity. 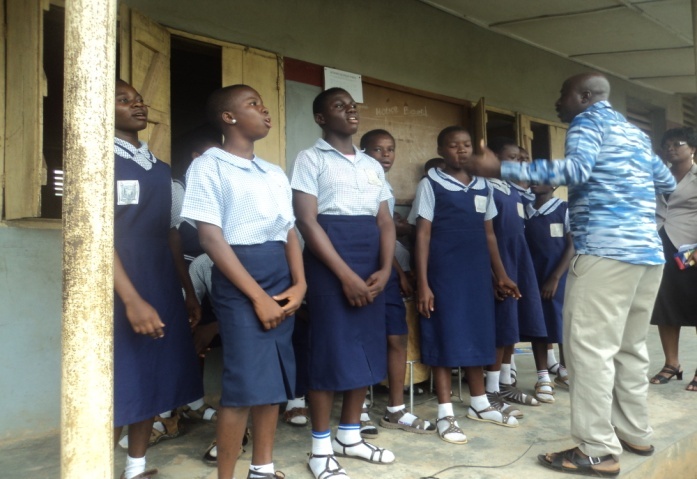 The schools used African Dance, Drama, Poems and talking drums to inform other students about “Libraries as door ways to life”. 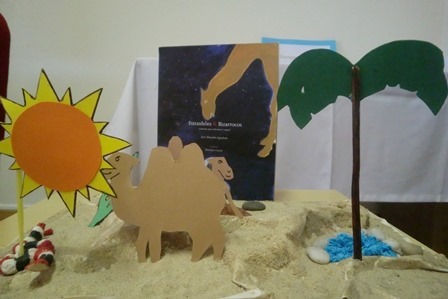 In each school after the children’s presentation, a colleague and I talked to the students about the ISLM theme. 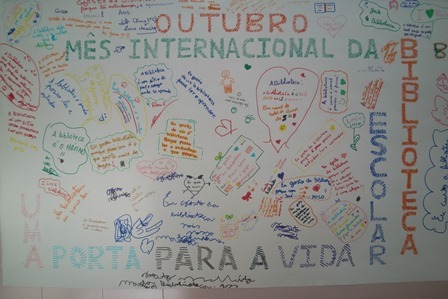 A poster was also produced by the graduate students in the Centre and distributed to the schools. 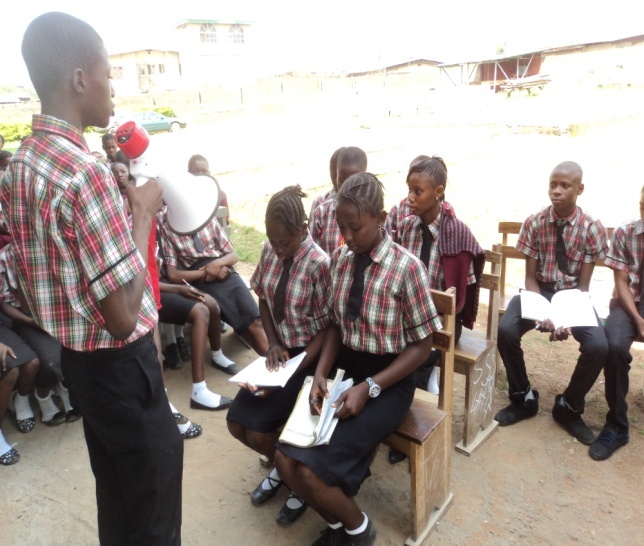 With these ISLM awareness programmes in Nigerian schools, much fun awaits the children during ISLM next year!! 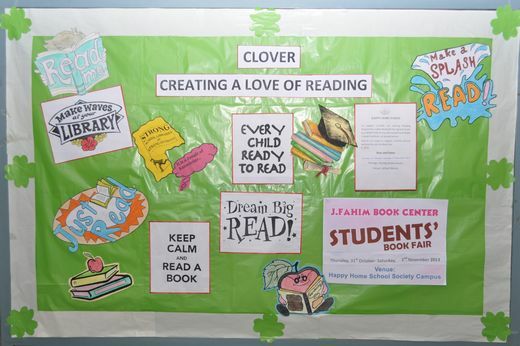 Primary students (7 – 11 year-olds) & Secondary students (12 – 15 year-olds) will write comments about the ‘HHS CLOVER Reading Programme’ on CLOVER Bookmarks which will be shared with schools from the USA and Ireland. 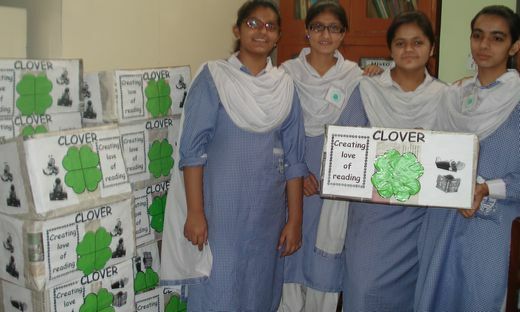 ‘CLOVER’ (Creating a Love of Reading) is a reading programme designed to inculcate the reading habits amongst students. After the morning assembly, when students enter their classes, they choose a book to read from a CLOVER Box kept in each class. This ‘CLOVER Period’ lasts for 20 minutes and students do no other activity except reading during this time. 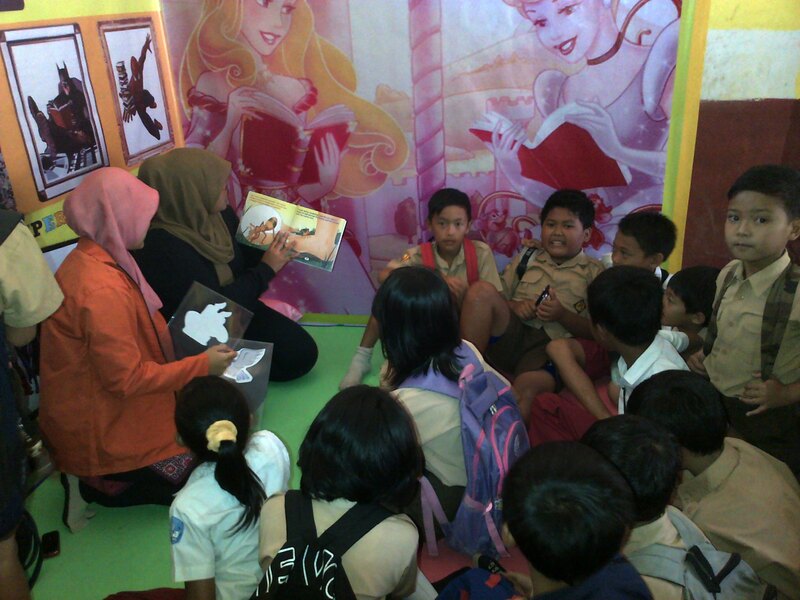 In fact, even the teacher present in the class participates in this activity by reading a book of her choice. Students and teachers are free to choose any book from the box. 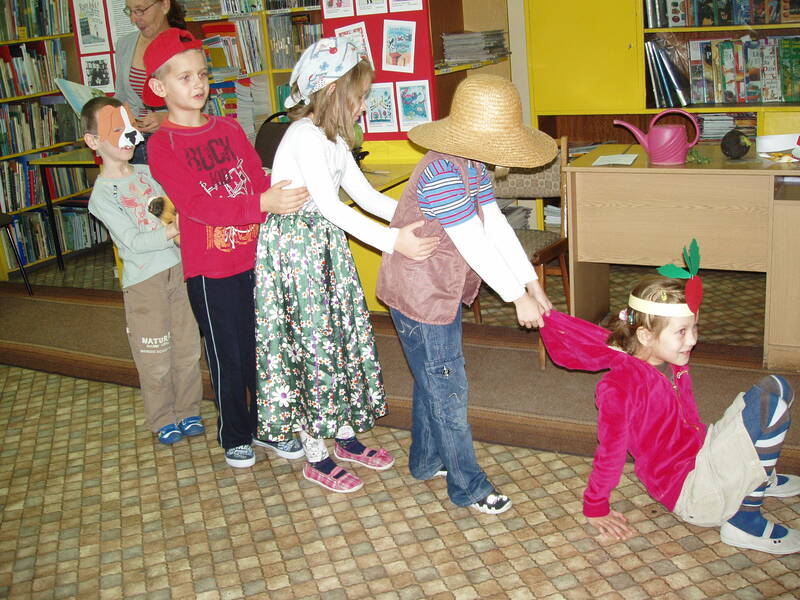 8-10-year-old students will dress up as one of the characters of their choice from a book they have read. Mrs. Zara Mumtaz a popular story-teller and the author of Anna Buwa Ki Kahaniyan will tell stories. 6. 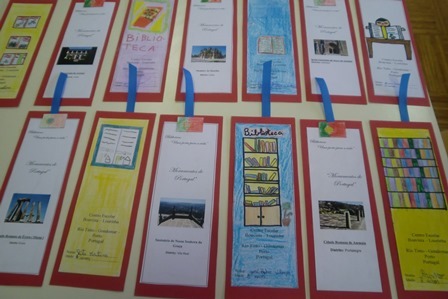 Display of Book Reviews, Reading Quotes, List of Vocabulary words, List of Favourite Stories and Bookmarks, made by students in classrooms and library periods. 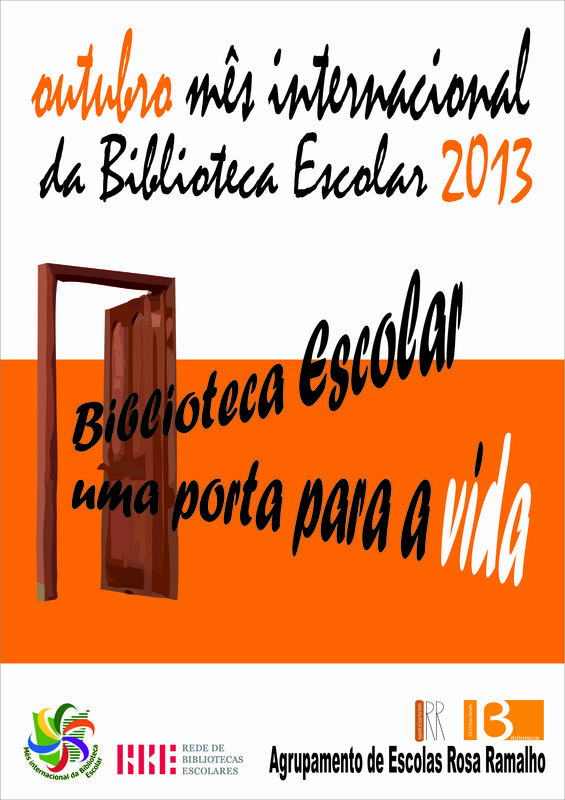 A book fair will be held in the school campus where books for different ages will be offered at reduced prices. With everyone’s support and cooperation we look forward to making this year a huge success. 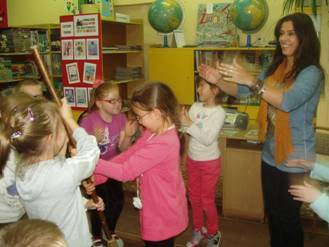 As most school libraries in Poland we are fighting to survive and remain a “Doorway to Life”! The year 2013 has been celebrated as Julian Tuwim’s Year. Tuwim was an absolutely fantastic poet. He wrote many unforgettable poems for kids. His rhymes have been enjoyed by our grandparents, parents as well as by our children. 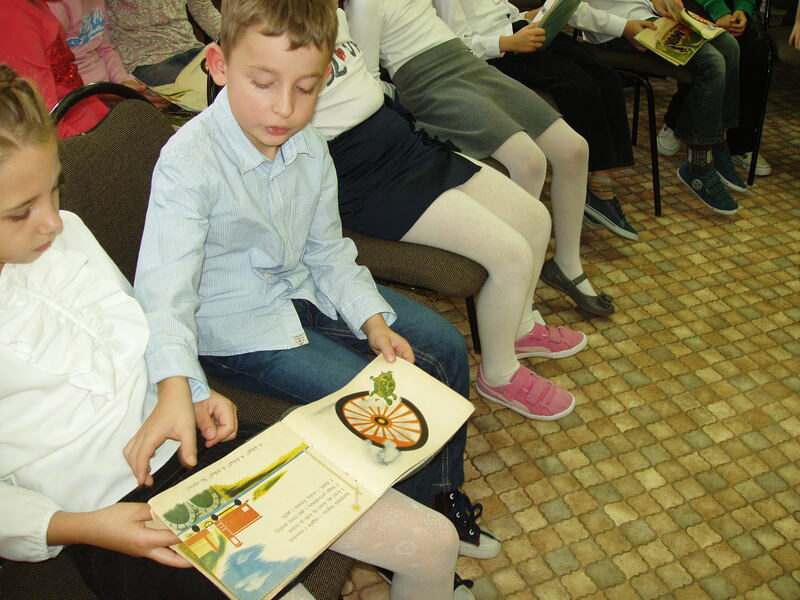 We all still can have fun reading “Locomotive”,“Turnip” or other stories… Many of Tuwim’s rhymes were translated into foreign languages, which was quite a challenge for the translators. Celebration intense month of BE, visiting two writers, awareness sessions with a dental hygienist under the SOAR project (Oral Health, School Libraries), celebration of World Food Day and finally in last day of the month, launching the story contest in partnership with the Municipal Library Eduardo Lourenço. 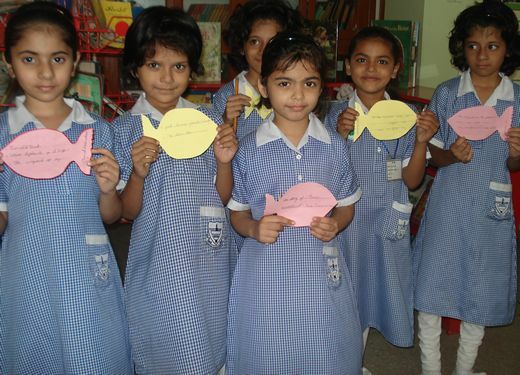 Students are welcomed with the training of users of the school library and some fun activities for school integration, as the confection of bookmarks. A helpful reminder for future readings. Sending information to the local press. 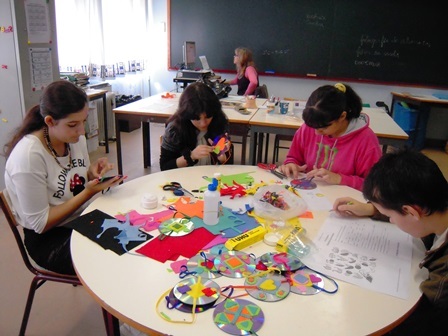 This participation is experienced every years with great enthusiasm by the Educational Community. “Share to Care, Donate A Book” campaign- students from KG to Grade 10 can donate slightly used books. Collected books will be given to a “less privileged” School Library in Qatar. 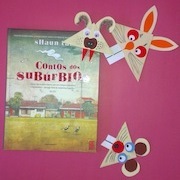 “Mystery Librarians” read an Award Winning book to Grade 1-3 library classes. Volunteers for the role came from Friends of the Library (parents) and staff.